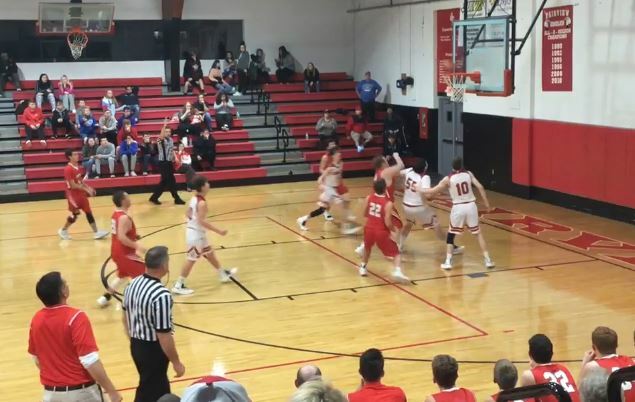 The Bath County Wildcats earned their first “W” of the season with a 82-68 victory over Fairview Tuesday night in the EKC Consolation game. The Cats came out hot as they led 29-15 after the first quarter as senior Chandler Otis poured in 8pts in the frame. Bath went on to lead 47-30 at the half and never looked back as they held serve in the second half for the comfortable win. Otis led the Wildcats with 20 points on the evening. Spencer Pergrem drilled 5 threes on his way to 19 points. Jake Porter added 13 points and Senior Jordan Davis came off the bench for 12 points all coming from behind the arc. Fairview was led in scoring by Jaxon Manning with 19 points. Bath County will be back in action this Friday night with a 61st district battle with Menifee County. The game is part of a girl/boy doubleheader with the girls beginning at 6pm and the boys starting around 7:45pm. Both games will be aired locally on WKCA 97.7. You can also listen online by clicking here.